Can I make money renting my property in Costa Rica? In almost every development, the breakdown of ownership is about the same. One third of all the owners live there fulltime; they are Ex Pats who have made paradise their permanent residence. One third of them are your typical snowbirds; they spend 3 to 6 months a year here, when the weather turns in North America, and then spend the summer months back home. Some of them rent their properties when they go back north, but many of them just lock the door and leave. They don’t need the money and don’t want anyone “sleeping in their bed.” The last third don’t live here at all. They either have a 3 to 5 year plan to becoming one of the first two, or they have no intention of ever living here at all, they just own the property as an investment. They come down as often as they can, depending on their lifestyles and their incomes, and they rent the property the rest of the time. So, can I make money renting my property in Costa Rica? For this analogy, pick up a pencil. Hold it in the middle. This is your investment spectrum. On one side of the pencil, the pointed side is the money side, the ROI side. How can I make the most return on my money? I don’t care where it is, or what it is, as long as I can get the most bang for my buck. It could be stocks, real estate, commodities, businesses etc. As long as I am making a 10% return, I am happy. The problem with this end of the spectrum is it is JUST money. There is no enjoyment, no satisfaction, just ROI. You look at your portfolio, smile briefly, and go back to figuring out how to make more money. Most of my clients have been doing this their entire life. The other side of the pencil is the eraser, the soft side. We will call this the enjoyment side. This side of the spectrum makes you NO money at all, but is a ton of fun. We spend our money on vacations, cars, clothes, watches, boats, restaurants and entertainment, but we get no return on our investment and usually LOSE money in the process. Most of my clients are in the middle. They want to make “some” return, but also enjoy life as much as possible; we call this middle place, lifestyle. That is Costa Rica. If you are looking to maximize you return and make as much money as possible, this is not the place. Keep your money in the stock market or buy more gold. We tell everyone that this is a Lifestyle Investment. You will make a decent return, and your portfolio will grow, but you will also have the opportunity to enjoy an amazing vacation when you come to your place. Mud baths, hot springs, white water rafting, ocean, sun, rainforest and massages on the beach; all while making a small ROI on your original investment. Most of my clients are not that concerned anymore with making a ton of money, they just don’t want to LOSE any money. 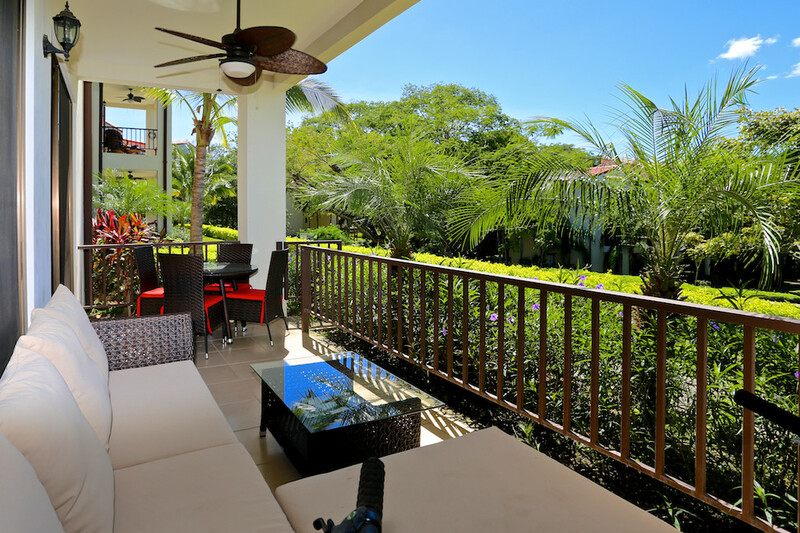 So as long as the property can pay for itself, cover its cost and put a few bucks in their pocket, they are ecstatic, as they have the chance to enjoy life to the fullest when they come to the land of Pura Vida. Since most of my clients want to use the property occasionally throughout the year, then they need to be able to rent it on a weekly or monthly basis; what we call short term rentals. So, what kind of property is the best property for vacation rentals? If your goal is to rent your property, then it must have some characteristics that will entice people to pay you top dollar to stay in it. If the development has amenities, like community pools and a beach club, this is in high demand. Also, if your house or condo, is walking distance to the town and all the action, that is huge, as many people do not want to have to rent a car when they go on vacation. Easy access or walking distance to the beach is of course, in high demand. And if you can afford the additional costs of an ocean view, then this can really drive up the ROI. There are some great property managers in Costa Rica. They handle everything for you, from managing the house or condo, paying the bills and taking care of the property, to booking the rentals and checking clients in and out of the unit. They charge very reasonable fees and commission and generally do a very good job for their clients. But like any industry, some rental agents are better than others. They have invested more in their businesses and have more access to clients, through better websites, marketing and connections. They get paid on commission so of course, the more they are able to rent your property, the more money they make. But you have to understand something too. These managers can sometimes be managing a lot of properties and they want to keep everyone happy. So they spread the love around, as I say. They make sure that every unit gets booked as equally as possible, so that all the clients are seeing a decent return and are a satisfied client. If they manage 30 units, they are going to make sure that each unit gets 12-15-20 weeks a year, keeping their incomes consistent and their owners satisfied and happy. If you want 30-35 weeks a year, then you need to do some things yourself to drive rentals to your particular unit. So, how do I make more money and get a bigger ROI if I want it? Start by furnishing the unit nicely and spend a few extra bucks putting in all the extras. Remember, the renter is shopping with their eyes. They are back at home in the freezing cold, suffering through their miserable lives, looking at units on the internet. The condo with the nicer furniture and appliances, decorated tastefully, lots of color and fluff, will show much better in the photos than a bland, boring unit. Add a BBQ, even if it is electric, so that they can grill a burger on the terrace. Even though most people come here and never watch TV, it is important to have a big TV in the living room. Just seeing that on the internet makes people notice, as they are used to watching TV at home. Hire a professional photographer to shoot photos and video, and if possible drone shots. Seeing a YouTube movie of the house is much more impressive than just a couple photos from an iPhone. Having your own webpage, which does not cost a lot of money, can make all the difference in the world. Load the webpage with lots of content and info, about restaurants, tours etc, and give it the personal touch by talking about your personal piece of paradise. Stock the house or condo with all the necessities for a party; blender, music, plastic cups for the pool, extra dishes, big coffee maker, beach towels, beach chairs, beer cooler and even bicycles will make people want to comment on Trip Advisor about how AMAZING this home was, and they will love to come back. Make sure to have comfortable mattresses, and extra soft linens and towels; SUPER IMPORTANT. An Amazon Fire Stick with movies or smart TV with Netflix is great for families as it keeps the kids occupied and happy. If nothing else, a DVD player and some children’s movies are always a nice touch. Spend some money, and advertise the unit EVERYWHERE. There are many avenues out there now, for marketing vacation rental properties; VRBO, FLIPKEY, HOME AWAY, AIRBNB, are the most popular and can drive a lot of rentals to your unit. Last but not least, you have to get involved. If you just hand the unit to a property manager, you are only going to get so many rentals. So if you want to maximize your ROI, then you need to do some work. Promote the unit to your friends, colleagues and people at work. Post it on Facebook or spend a few dollars in your local magazines or websites back home. Answer the inquiries yourself, if possible, and then send the clients down to your property manager to book. Renters LOVE when they are talking directly to the owner, as it gives them the feeling of a personal touch. You get the opportunity for them to hear how passionate you are about your little home, and how grateful you are that they are going to stay there. There is also the obvious. Sometimes, you are deciding between two properties. If one property is more money but obviously going to get a better ROI, then spend the extra money up front. Having that nicer property, with more of the characteristics I mentioned above, can mean a much better return every year. You also will have a much better choice of property managers too. Second tier properties, are managed by second tier property managers. The top agents want to manage the best homes and condos, as they work on commission. The higher the rental rate, the more they make. Just like a realtor. I work just as hard to list a $100,000 condo as I do a $500,000 house. I just make 5 times as much in commission on the better property. So of course, I am going to always want to work with the nicer home over the cheaper condo. If you talk to most of the property managers, they will tell you that the majority of their clients are making a 3 to 4% ROI. This is an Average, between the people who use their property a lot, and break even, and those that very rarely ever use their condo. Those that get more involved as I mentioned above are getting even higher returns. I have many clients making 7 or 8% ROI but they are actively and aggressively involved in the rentals. In my opinion though, the rental returns are only going to skyrocket over the next decade. The buzz is on and everyone wants to come to the land of Pura Vida. There are 70 million baby boomers and many of them want to come take a taste of paradise. People want to vacation here for all the reasons mentioned above, and more and more families are coming to this incredible country. Airline prices have gone down substantially in the last few years, making it even more affordable to travel from USA or Canada. They are in the process of doubling the size of the airport, which means twice as many people looking for a vacation rental. It is very hard to develop here, so you are not going to see new homes and condos equal to the amount of people arriving. This means more demand than supply, which equates to rental rates climbing. Also, many of the last third of my clients, will reach their 3-5 year plans, and move here. They will take their units out of the rental market, meaning even LESS units will be available as more and more people arrive to visit. This is good news for those of us who own a lot of rental properties. This is also why many of my clients are purchasing a second property, after they have moved here fulltime, as this income will help them to live comfortably in paradise, without having to tap into their pensions, or their life savings. I have many clients who own multiple rental properties, and live a very comfortable life off the income. People ask me all the time, to see previous rental history. Truthfully, this is useless and a waste of everyone’s time, as you can see from my comments above. If the previous owner didn’t want a lot of rentals, then there won’t be any history. If the last guy didn’t put much effort into it, then he didn’t get much return. And if they didn’t upgrade the unit, put in nicer furniture and do all the things I said before, then it is irrelevant what they made. Also, maybe they used it more or less than you are going to use it; there is no way to know. And remember, they can always LIE about their numbers; there is no way to confirm. Don’t buy a property based on what the last person did. Buy it based upon what YOU are going to do, and what the property manager, realtor and you determine the property can make. Most important; buy it because it is what you WANT. Remember my pencil analogy. It is also very hard sometimes to get a real feel for the property on the internet. But once you view the unit with me, it is very easy to see why some units will rent much better than others. You have to get on a plane, and spend some time in my truck with me. Some of my clients are not that concerned about making a profit at all, so this opens up many more options of course, for properties. It can be an older property, or further away from the beach; it can be outside of a community, or something very unique, but the client doesn’t care because it is exactly what they WANT in their little piece of paradise. These homes won’t see much of an ROI but the owner doesn’t care, as they are more concerned with satisfying their personal wants, having the quality of life they desire, over the return they will make in rentals. Most of my clients overall, are not looking for a huge return, they just don’t want to have to send money to Costa Rica to pay for the overhead. If they can come and use their condo or house throughout the year, have all the bills covered and a “free place to stay” then they are happy. If their property manager hands them a pile of cash when they arrive, they are even more ecstatic. Costa Rica is a lifestyle investment; we are not here to squeeze every nickel out of every deal. We own and invest here because we LOVE the country. The people are the friendliest you will ever meet, and this is truly an amazing Eden. The best beaches, year round gorgeous weather, incredible nature, and they are the happiest country in the world. Once you get a taste of it you won’t ever want to leave, trust me; and if we make a few bucks on our condos, even better.